We do not curently have theatre tickets available for The Father. This could be because we have simply sold out or it could be that this show is no longer running. The information on this page remains purely for historical and informational purposes. 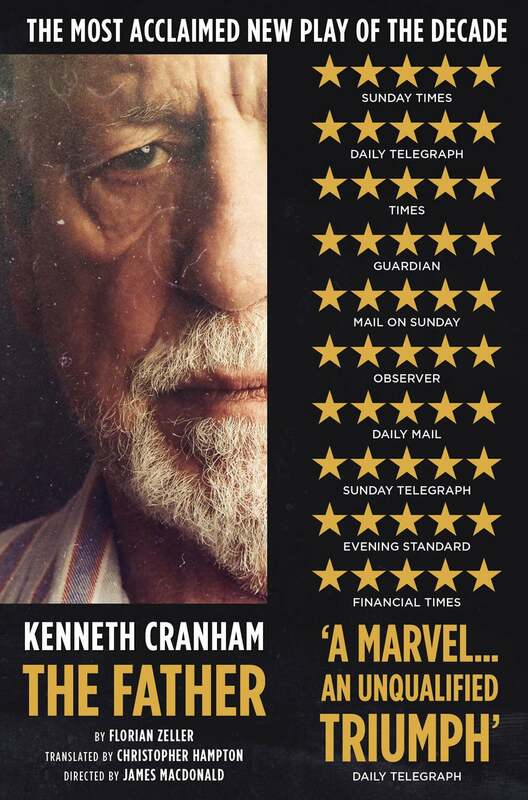 Tony Award nominee, Kenneth Cranham reprises his unforgettable performance for thirty eight performances only. The Father is the winner of France's highest theatrical honour, the 2014 Moliere Award for Best Play, and in Christopher Hampton's crisp and witty translation, has dazzled audiences and critics alike at the Theatre Royal Bath and the Tricycle Theatre. It has received an unprecedented eight five star reviews from major national newspaper critics.